December 21, 2015 By Allyson Leave a Comment This post may contain affiliate links. Read my disclosure policy. Can y’all believe it is almost Christmas?! Geez, where did the time go? 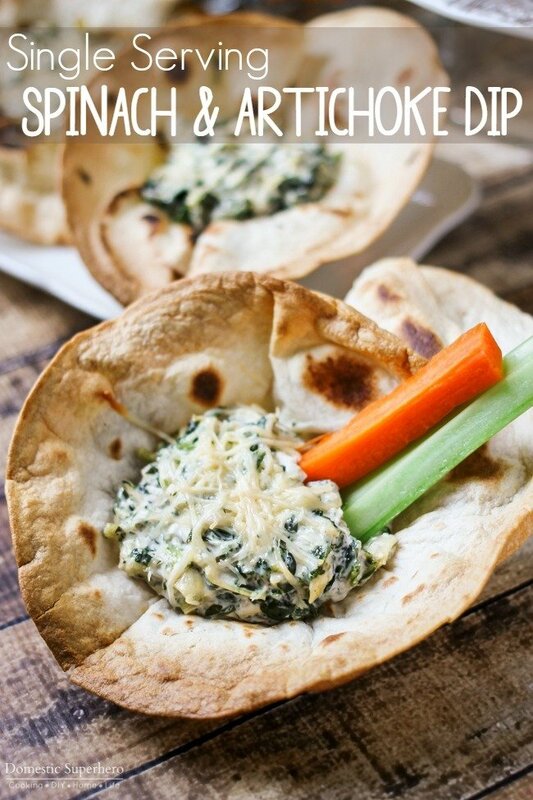 I have been whipping up all kinds of recipes for this holiday season, and I am really excited to share these Single Serving Spinach & Artichoke Dips in tortilla bowls with you! 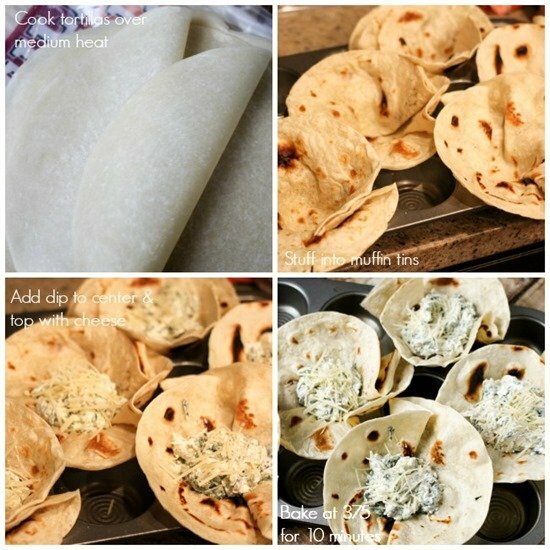 I already knew that I wanted to use TortillaLand flour tortillas for this recipe. You can find them at Costco in the refrigerated area (see below), and they are super awesome. They have only 5 ingredients (and you can actually read them all) – wheat flour, water, canola oil, salt, sugar; and you get to cook them up yourself! 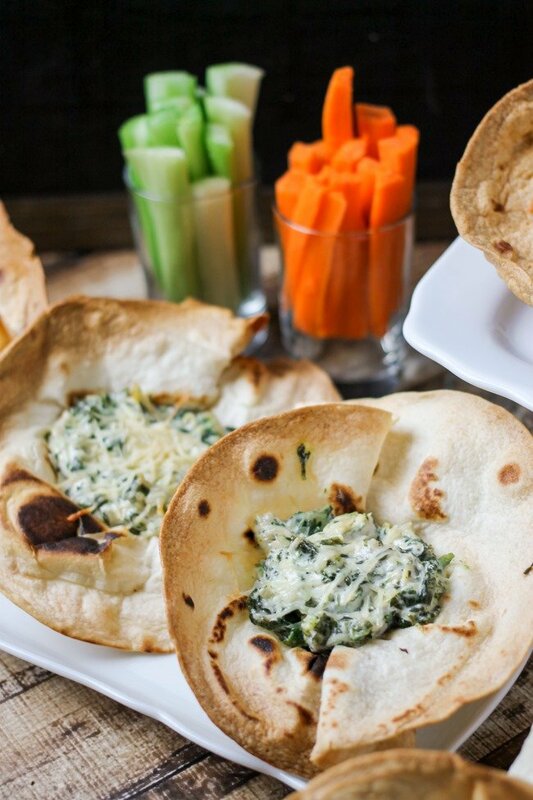 All you do is heat them on each side in a skillet for a few minutes and they puff up and get those delicious tortilla bubbles right before your eyes! They are super fresh tasting and really delicious. I picked up a couple other things at Costco (find your local Costco here), too. I don’t know about you, but I can never get out of Costco with just one thing – they have so many things I HAVE to have! Once I got home, I cooked up the tortillas, made the spinach artichoke dip, and started assembling my Single Serving Spinach & Artichoke Dip! After you get them all setup, it’s really simple – just bake in the oven for about 10 minutes, or until lightly browned and the cheese is melted. Pop them out of the tins and serve them up! You could pre-make these if you want, say, if you are serving them for a party, but I would refrigerate covered, and then bake right before needed. That way the tortillas will stay crispy. I love these little bowls because once you get to the bottom of the dip, you can tear it up and eat it! So yum! I served these to my guests with carrot sticks, celery sticks, and some chips. They were a huge hit! 1. Using a large skillet, cook 12 tortillas as directed on package (just heat on each side for a few minutes). 3. 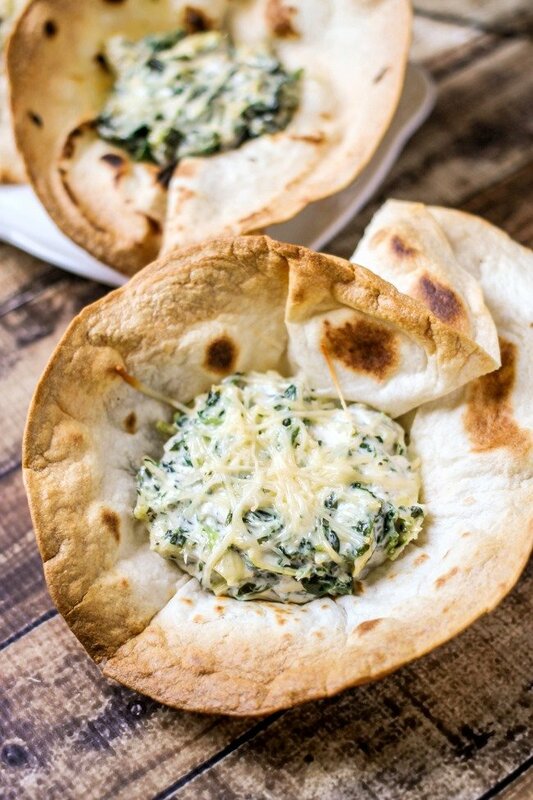 Using a large muffin tin, place tortillas into the muffin hole area, pressing to fit it in. Repeat for 12 tortillas. 4. Heat the oil in a large pot over medium-high heat. Add in the artichoke pieces and cook for one minute. Reduce heat to medium, add in the spinach, and cook until wilted, turning often. 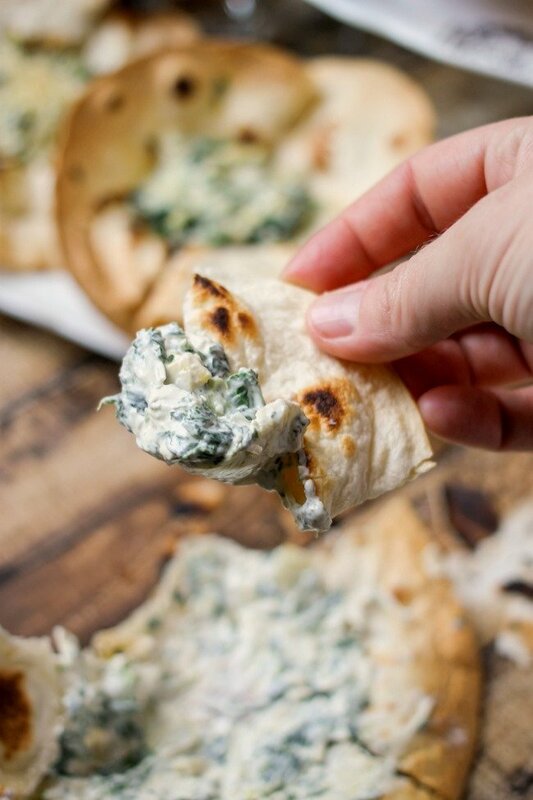 Mix in the cream cheese and mozzarella, and let it melt entirely. Season with salt and pepper to taste. Remove from heat. 5. Add about 1/4 cup of dip to fill the holes of the tortillas. Sprinkle each top with a bit of parmesan cheese. Repeat for all. 6. Loosely cover with foil (you will need a few LARGE pieces), and bake for 10 minutes. Remove foil, and bake for 10-12 additional minutes, watching closely that the tortillas don't burn. Once they are browned and the dip is melted, remove from the oven. 7. 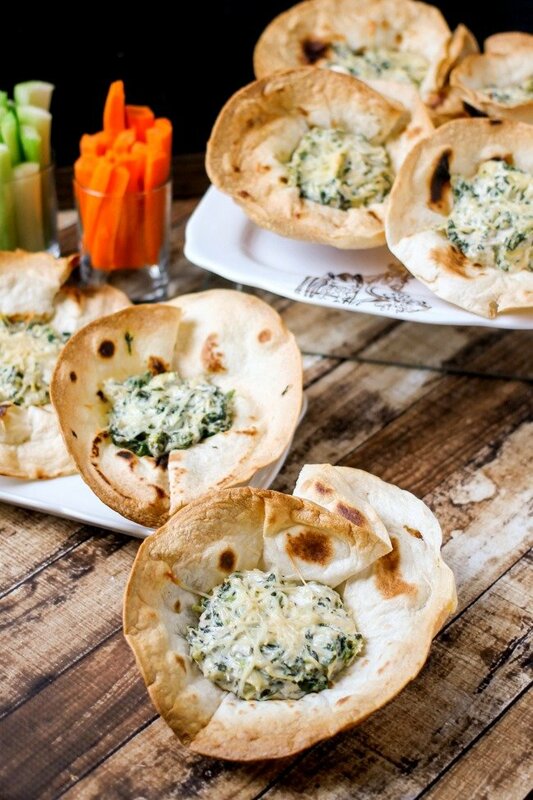 Place individual dips onto bowls and serve with your choice of garnish. Now for the FUN! I’d like to see what you would do with TortillaLand tortillas. 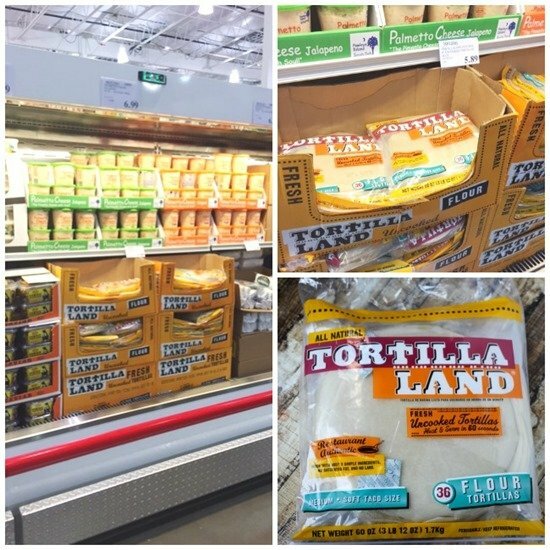 Tell me what you would create using TortillaLand tortillas, or better yet show me! Go grab a bag at your local Costco and send me a photo (DomesticSuperheroAZ@gmail.com) of your creation. I will be GIVING AWAY a $50 Costco Cash Card to the recipe I like best! Don’t have time to actually make the recipe yet? Well, comment and let me know your idea for your chance to win! I will consider all for the Costco Cash Card!